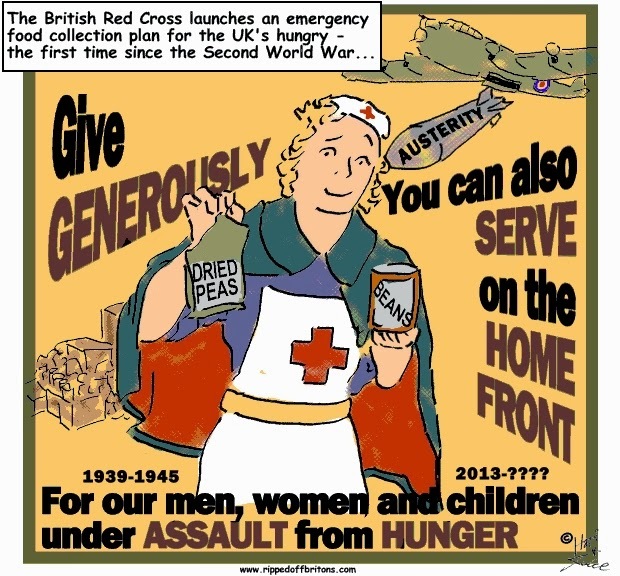 The Red Cross will this winter start collecting and distributing food aid to the needy in Britain for the first time since the Second World War, as welfare cuts and the economic downturn send soaring numbers of people to soup kitchens and food banks across Europe. Its volunteers will be mobilised to go into supermarkets across the country at the end of November and ask shoppers to donate dry goods. Across Europe, the Red Cross recorded a 75% increase in the number of people relying on their food aid over the last three years. At least 43m people across the Continent are not getting enough to eat each day and 120m are at risk of poverty.